A very floriferous hybrid with large, cup-shaped blue flowers and dissected foliage over a long season. It is thought to be a seedling from G. ‘Brookside’. 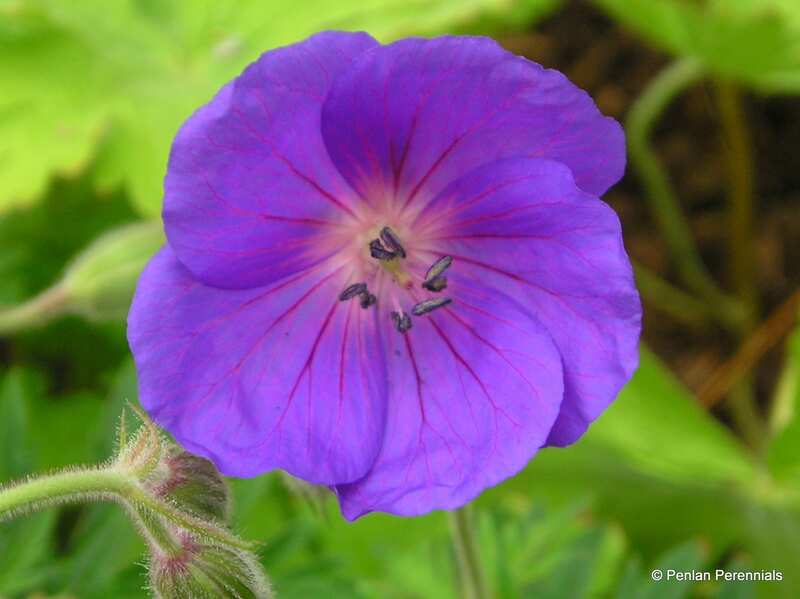 Awarded an AGM in the 2004 RHS Geranium trial. This geranium always looks good and when in flower is much admired. As it is sterile it does not seed about, and the bonus of wonderful red autumn foliage for several weeks is the icing on the cake! Pot size 1.5 litre. Hardiness rating H7. Cut hard back after first flowering for a second flush in autumn. Propagate by division in spring or autumn.